Wood, red fabric and brass fittings. 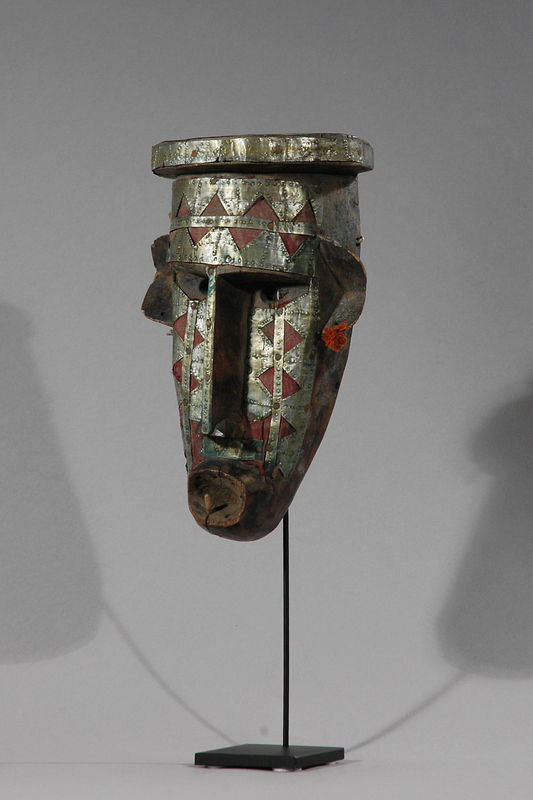 This is one of the finest examples of Marka masks made in wood and covered by red cloth with brass fittings and a strong and sculptural expression. The Warka people are also known as the Marka. 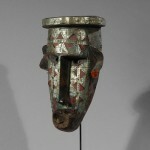 They reside mainly in the northern region of Bambara territory in the country of Mali. 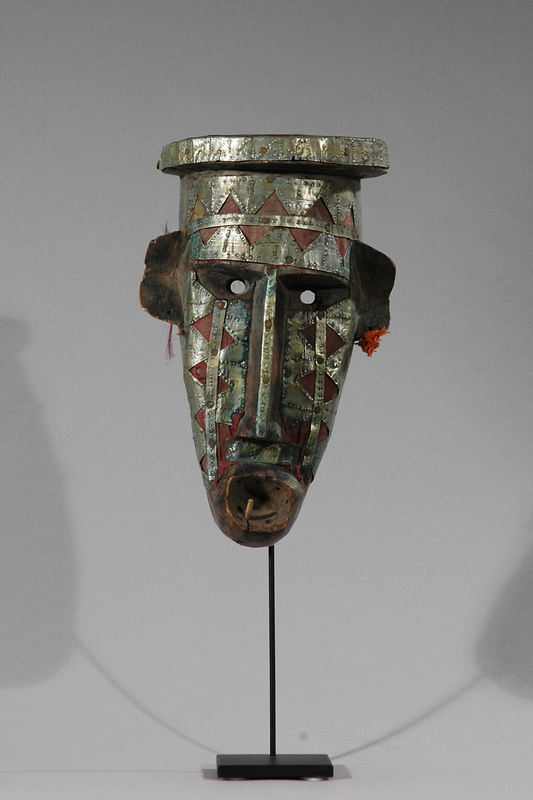 The Bambara, who are celebrated highly for the creation of a vast array of masks and sculptures, heavily influenced the neighboring Marka people on a cultural level. 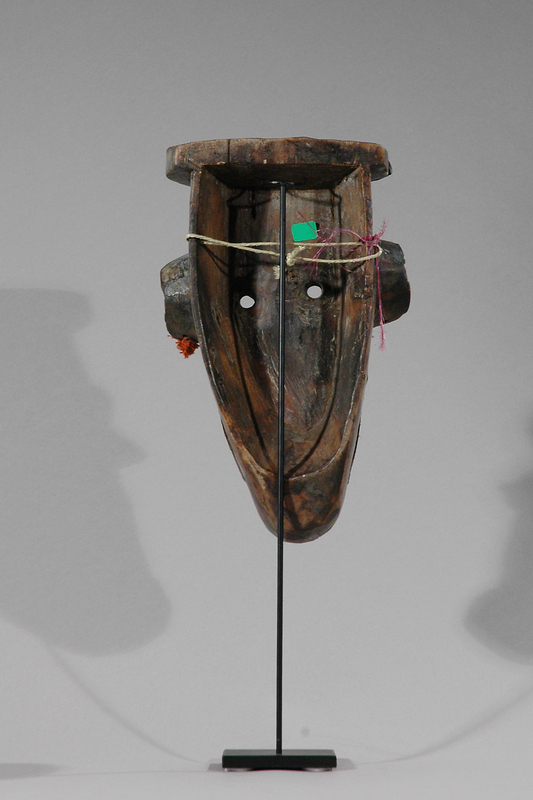 This is evidenced in Warka tribal artistry. 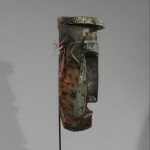 Warka ceremonial masks in general are very similar in structural form to Bambara societal masks. 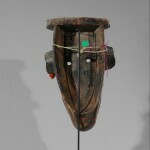 The mask on display has the same elongated face, slender supernatural nose and narrow eyes as those used by the Bambara during Ntomo rituals. 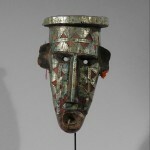 The main deviation from the Bambara style is the Markas’ use of metal sheeting to cover the wooden masks and red cotton fiber decoratively placed. 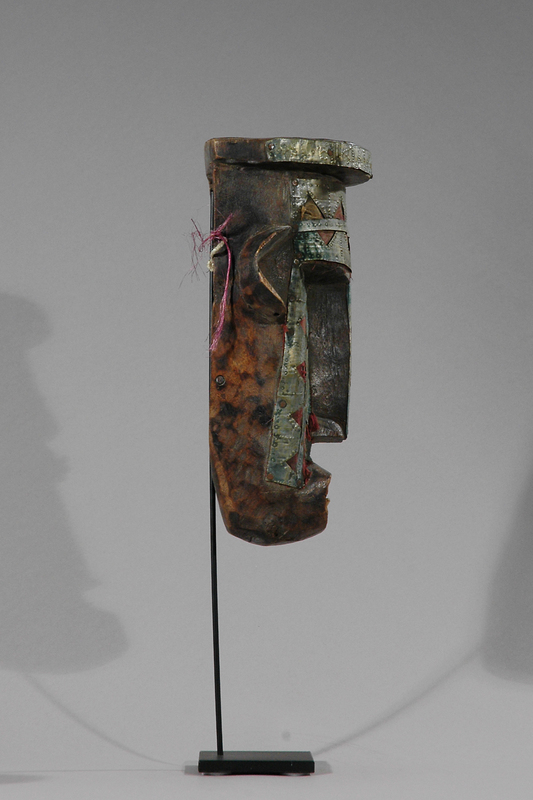 Materials such as teeth, hair, bone and metal are often added to African masks. 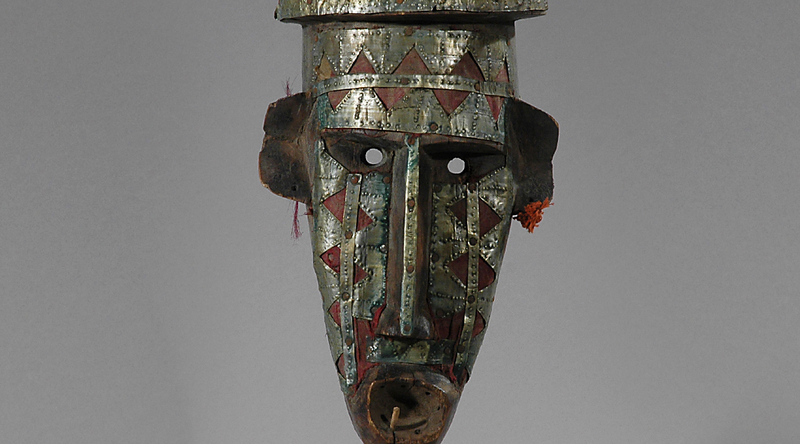 The purpose of such adornments is to increase the supernatural power of the mask.